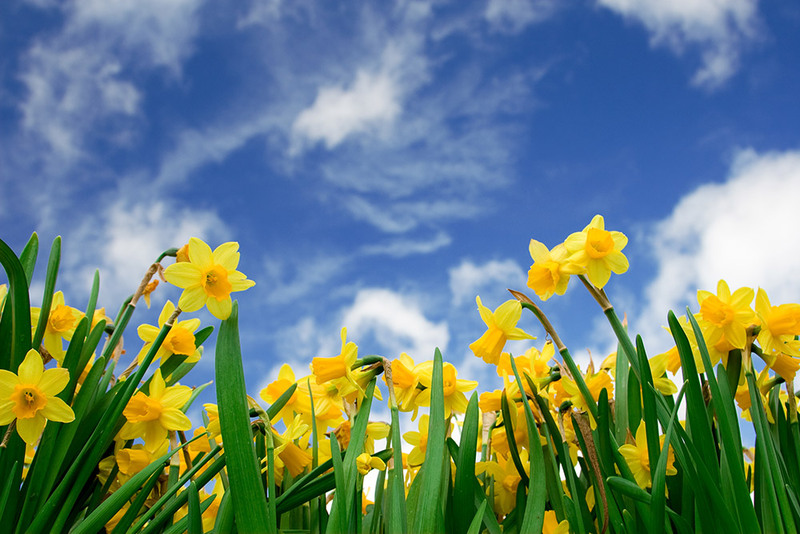 For many, the first signs of Spring are the daffodils and chocolate eggs appearing in the local shops, but for those living close to the waterways it’s the sound of the first narrowboat cheerfully chugging down the river on the Easter weekend. The 2016 holiday season is just about to begin and our boats are ready to cruise; Silver Fox is looking particularly splendid with a new fridge, new curtains and new flooring. The day hire narrowboats have had their bottoms blacked and are now back in the water and ready for action! If like me, you are a lover of boats and boating then as Easter approaches you may be thinking less about Easter bonnets, bunnies and treats, and more about where to go boating this year. Here are seven reasons to go boating on the Fenland waterways this Spring. 1) Perfect timing: A spring narrowboat holiday means that the waterways are less crowded, new waterfowl are born and other animals awaken from hibernation. Your cruise will also pass blossoming trees, daffodils and primroses. 2) WWT Welney Wetland Centre, not far from the River Great Ouse, is a perfect place to start exploring the wetlands and get up close to the wildlife. From Friday 25th March to Sunday 10th April you are invited to join the giant duck hunt! 3) Take Photos. Springtime on the waterways is inspirational for the amateur photographer: There’s something very moving about the stunning skies of the Fenlands, and the remoteness and tranquillity of the landscapes. Even with only a smart-phone you may find yourself capturing sunsets and sunrises reflecting in the water, and catching glimpses of ducklings, cygnets, snipe, lapwings, redshanks and dragonflies. Your hire boat itself will make a great focus point for a photo when it is moored in a tranquil beauty spot at the end of a busy day’s boating. 4) Something unusual to see: Denver Sluice dates back 400 years and without its complex engineering, tens of thousands of homes in Cambridgeshire and Norfolk would be flooded. It also plays a key role in river navigation, conservation, water abstraction, agricultural and land drainage and fisheries. 5) Discover local treasures: The Samovar Tea House is a unique and cosy café in Ely, serving a huge variety of loose teas and coffees, a daily brunch menu, a wide range of lunch options and a selection of delicious home-made cakes. They also sell a variety of tea ware and accessories, cards and gifts and the walls double up as a small art gallery showing a select range of artwork and photography for sale. 6) Beyond Boating: RSPB Fen Drayton Lakes is a complex of lakes and traditional riverside meadows next to the River Great Ouse. If you fancy a trip away from your boat the lakes are a fantastic place to explore and watch birds with huge numbers of ducks, swans, geese, terns, hobbies and a variety of dragonflies. 7) Exploring quaint and picturesque market towns. Have you planned your cruising route yet? You could head west from March crossing the Greenwich meridian line at Floods Ferry and on to Whittlesey, Stanground, Peterborough and the Nene valley. Alternatively, if you travel East to Upwell and Outwell, then cross the tide at Salters Lode and head on towards Littleport and Ely and Cambridge you’ll visit both pretty villages and ancient cities.